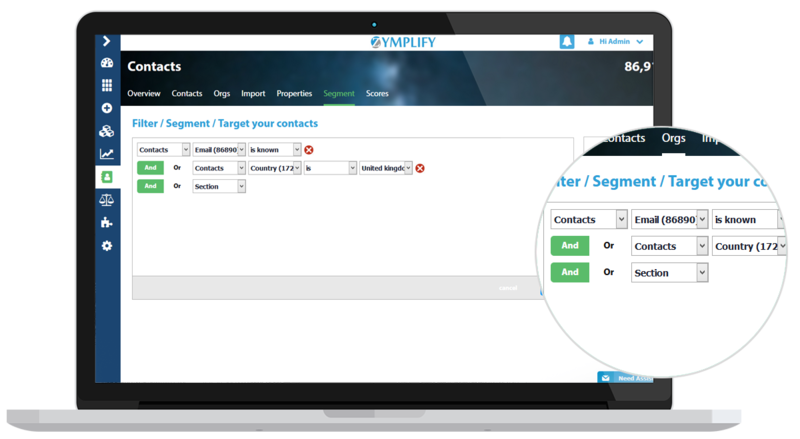 Zymplify allows you to quickly and easily build customised lists from your Contacts and target your campaigns to the people you want to engage. Segment by personal profile (name, gender, location, business type, etc), business characteristics, social media presence or date of last engagement. 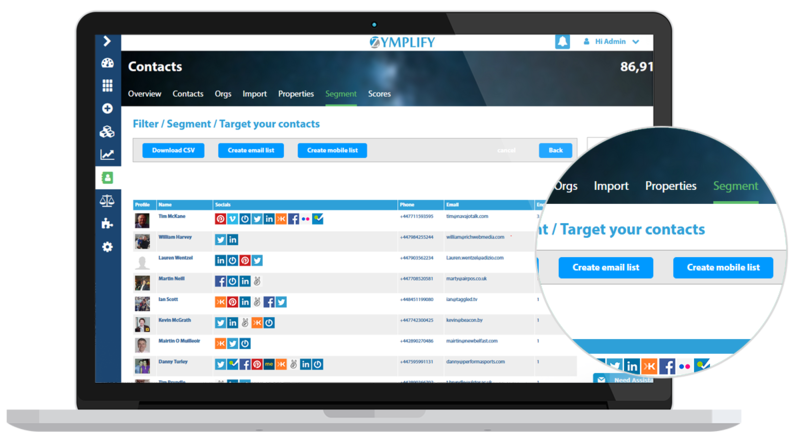 Output list as .csv file, or load straight into email or mobile phone for a campaign.